On the eve of Chelsea’s important fixture against the champions league whipping boys of the group, Nordsjelland, Fernando Torres has issued his desire to remain at Chelsea football club, but with two months passed without a premier league goal and a January transfer window fast appraching, the question remains just how much time does the Spanish striker have? 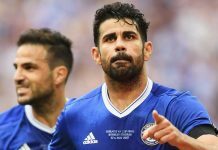 Often looking forlorn and openly expressed his sufferings immediately after last season’s Champions League triumph, the Chelsea number nine has stated his intention to stay and win more trophies saying ‘One of the main reasons to come to Chelsea was that they are always aiming for trophies. I needed to win trophies because they are what you have after you have finished’, before continuing to state his desire to win more trophies in the remaining four years of his contract. The problem the 28 year old faces, to the same tune as Roberto Di Matteo had done is he is running out of time. His indomitable form of 12 hours of league football without a goal seems as a surprise considering the creative juices recruited in the summer to support the main striker, on top of the widely reported appointment of Rafa Benitez apparently to help open a bottle of the finest vintage Fernando Torres against any team. With only a rebounded goal against Shakter Donetsk in recent memory and a progressively frustrated faithful attained by some woeful performances, it really is now the responsibility of Torres to score goals, repaying some of the £50 million fee and recuperate a flagging support to ensure his stay. The evening standard focussed on Daniel Sturridge’s desire to secure a transfer to Liverpool after a frustrating period of warming the bench and being used exclusively in a non-central role. What is compounding and detrimental to Torres is Sturridge having scored more goals than that of Torres (24/95 to Torres 19/90) even though he has mainly been placed in wide berths and frequently starting from the bench. With Torres increasingly linked with a move away from Stamford Bridge, it is imperative the World Cup winner conjures the consistency of the striker he once was and indeed what he was signed to do. There is towering pressure growing, mounted by both the shortage in options in the forward line and the alarmingly disparaging form of Torres that has landed himself in a predicament to urgently need to score goals to prolong his career with the blues. It is almost two years since Torres was first welcomed to the Bridge, and as the fans are accustomed to see the lacklustre sharpness of the striker’s potency, there has always been an established appreciation for his work rate and effort to compensate for lack of goals, but with the need of a regular goal scorer, a need for goals in big games and tight affairs, patience is gradually waning. Torres is certainly more than welcome to stay at Chelsea as long as he wants, providing he is scoring goals. Without that service, well, his time will be cut short. That is for certain.